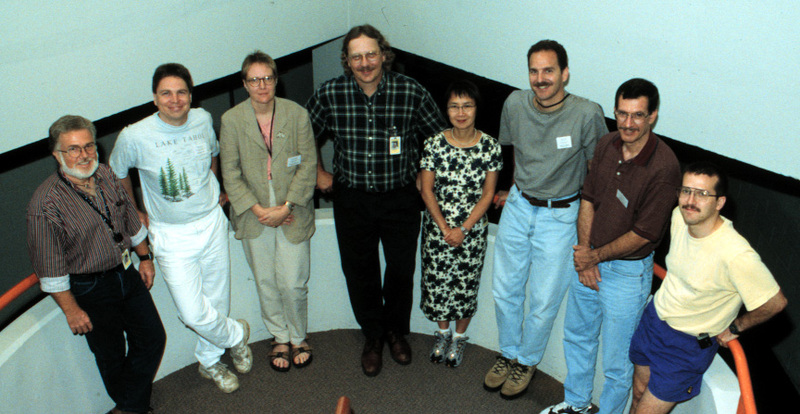 Left to right: Angel D. Santiago-Torres, Michael Tuttie, Kristen J. Gremillion, Harry A. Alden, Jia-Sun Tsang, John A. Courtney, Ralph Jackson and Tony Havics. 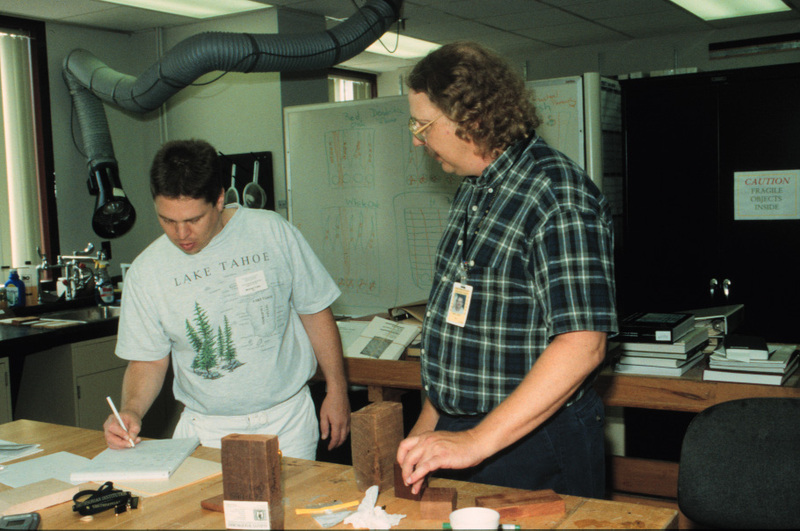 Harry Alden discussing the macroscopic differences between types of ring porous hardwoods. 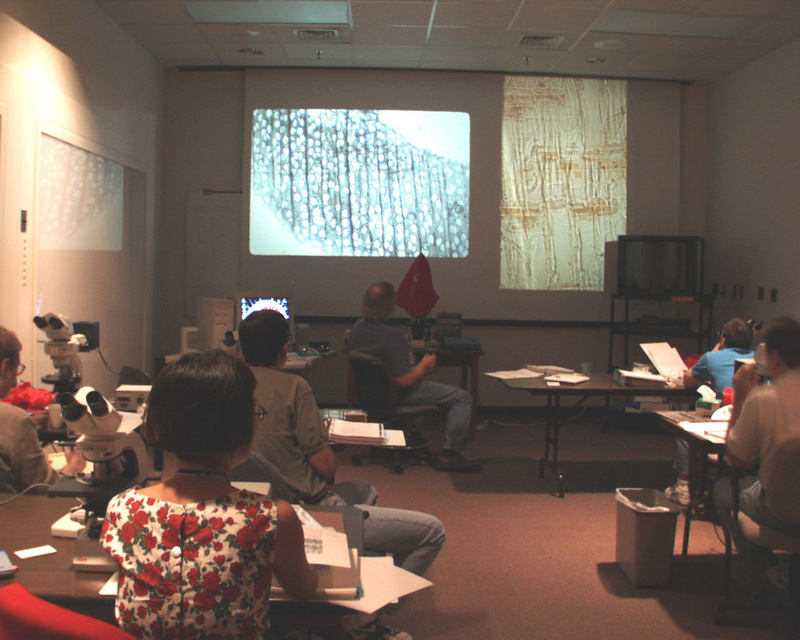 Lecture on the microscopy of diffuse porous hardwoods. 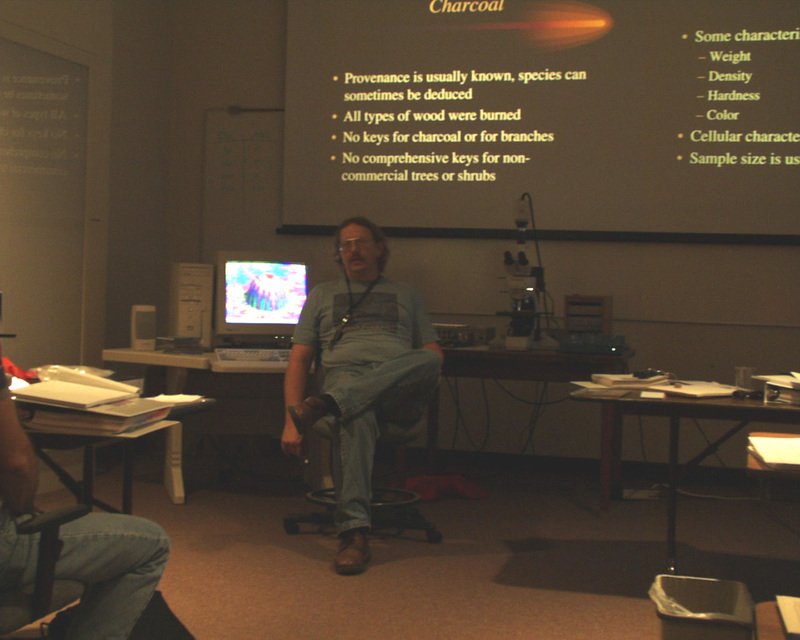 Harry Alden discussing the limits of charcoal identification. 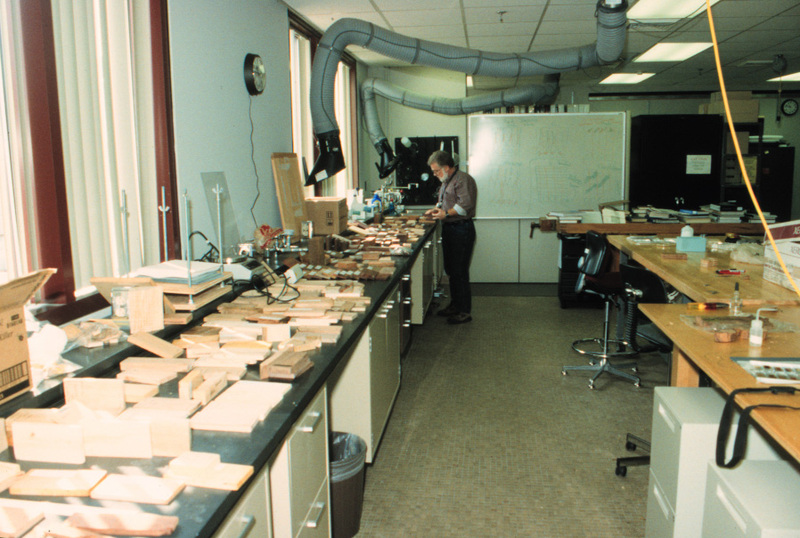 Harry Alden discussion the logic behind microscopic wood identification. 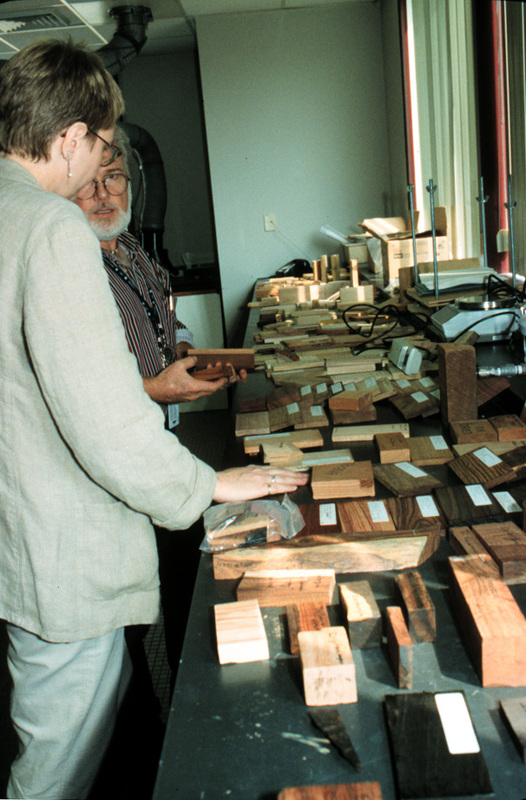 Wood samples used in laboratory exercises. 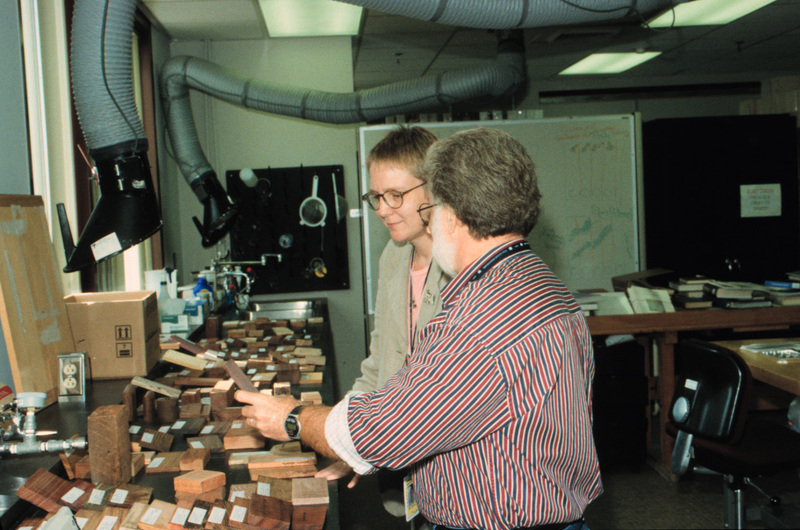 Harry Alden (right) explaining the differences between True Mahogany (Swietenia) and Spanish Cedar (Cedrela). 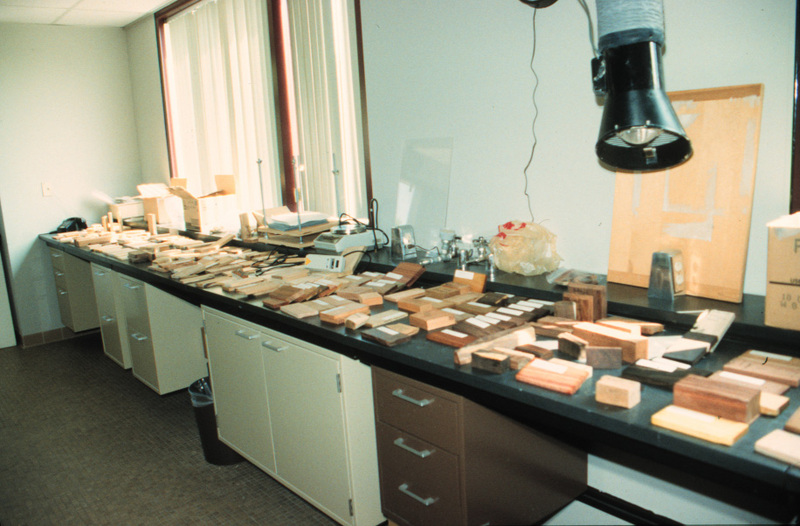 Preparation of tropical wood sample for microscopic examination. 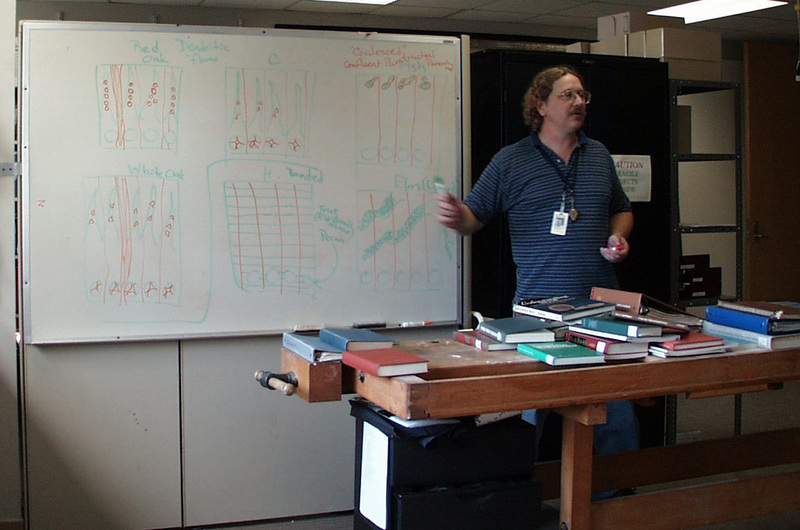 Discussion of the visual similarities of tropical woods. 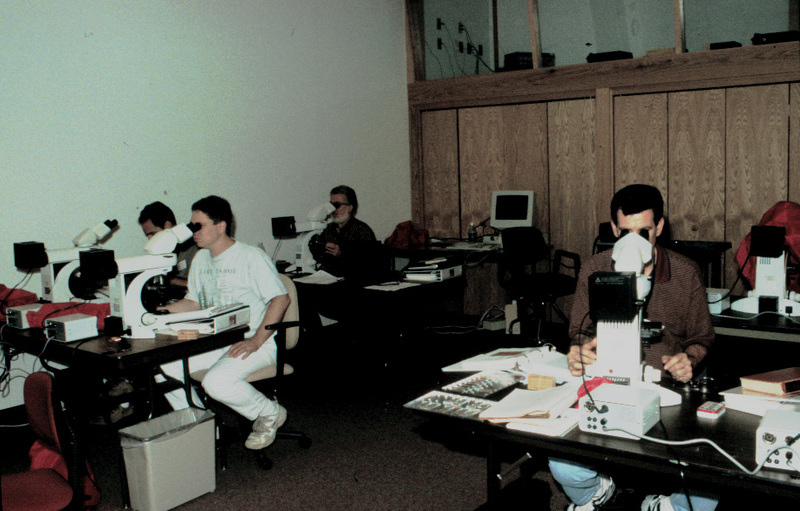 Students looking at the visual variability of woods in the same genus. 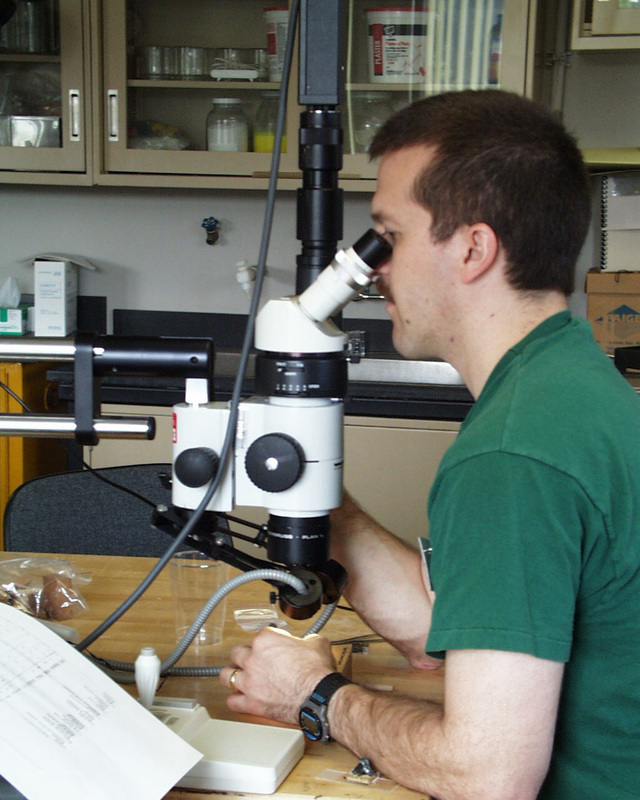 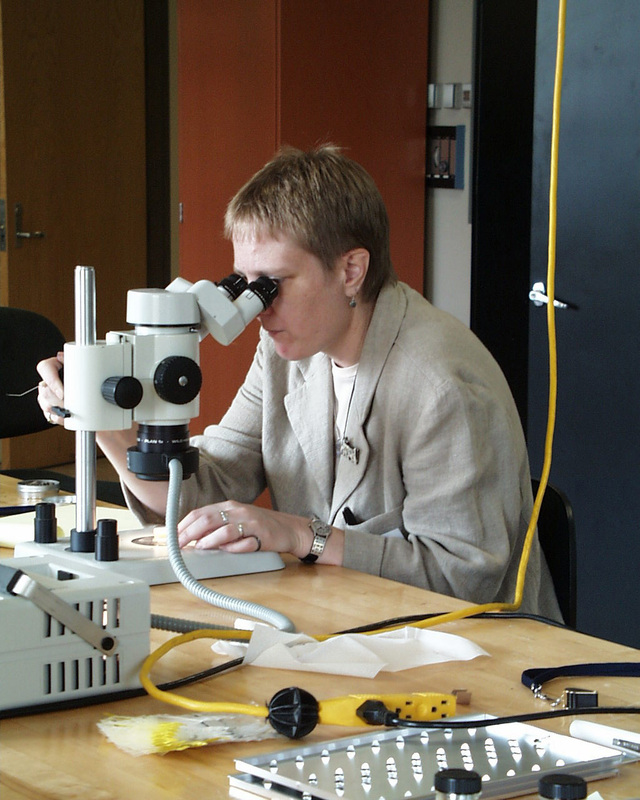 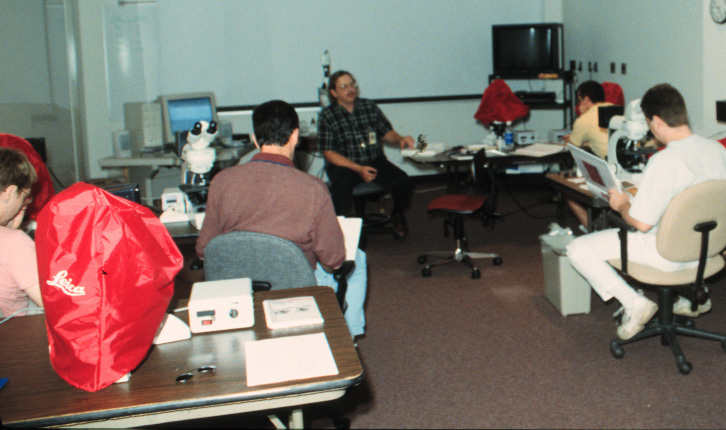 Examination of charcoal samples with a binocular microscope. 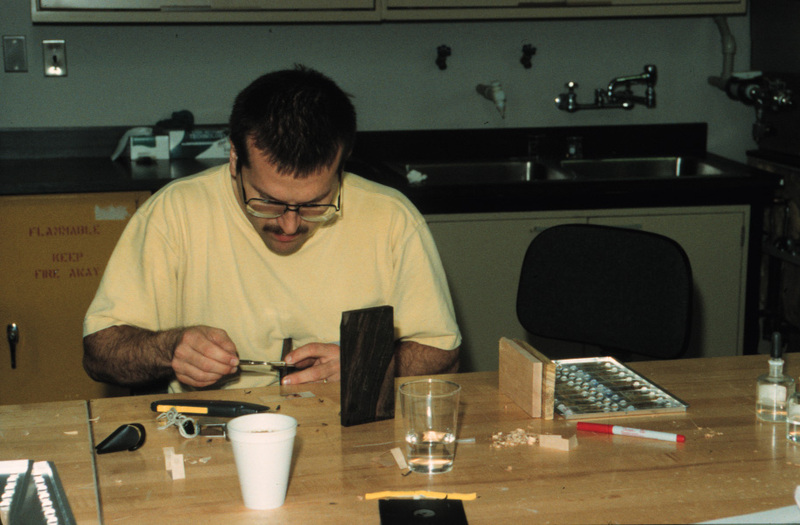 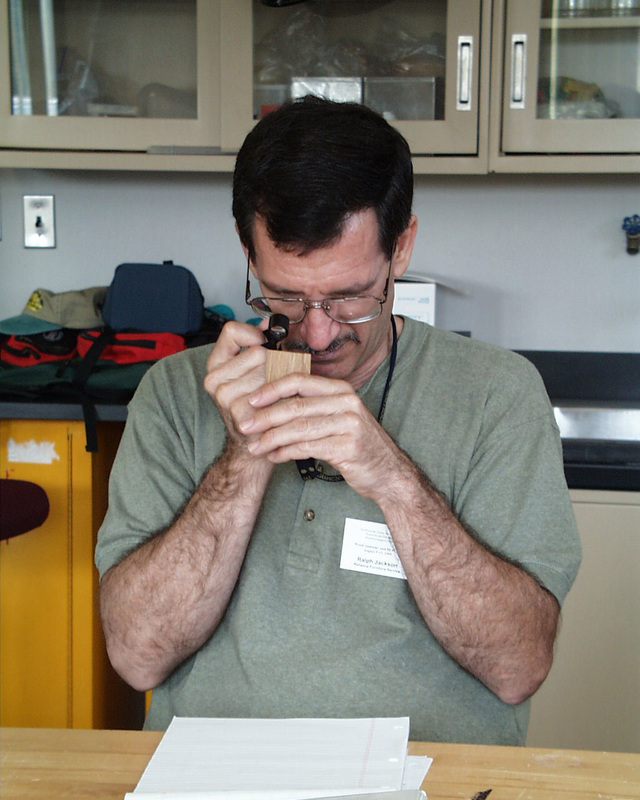 The proper use of a hand lens for macroscopic wood identification.